From complimentary food to free music, here are seven great freebies you can enjoy as the leaves change and the air turns crisp. Autumn is right around the corner, and along with the crisp breezes, vibrant leaves and pumpkin-flavored everything that signify the season, you can enjoy some exciting fall freebies! Listen up lovers of complimentary stuff — this month will bring you everything from a gratis breakfast at Chick-fil-A to a little free satellite radio. Following are nine super September freebies. The deal is good through Sept. 4, so you’d better hurry! If you have a satellite radio receiver in your car, you can still enjoy a few more days of free service. The Sirius promotion began in late August and runs through Sept. 5. Just turn on the radio in your ride and enjoy! One small caveat: Sirius notes that some older satellite radios might not be capable of receiving the promotion. 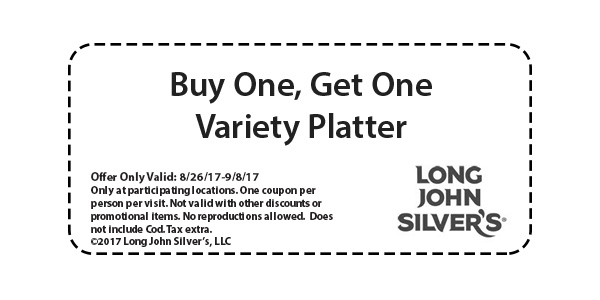 Stop by Long John Silver’s through Sept. 8, and you can get one free Variety Platter when you purchase one at regular price. Just be sure to bring in the coupon found on the Long John Silver’s Facebook page. To cash in on this freebie, you’ll need to download the latest version of the Chick-fil-A One App and have a Chick-fil-A One Account. The deal is good through Sept. 30. You’ll also get access to YouTube Red, which allows you to watch videos ad-free. One the trial is over, you’ll be charged $9.99 a month. So be sure to cancel before the freebie expires if you don’t want to pay for the service. Each year, Smithsonian magazine hosts “Museum Day Live!” This year’s celebration is planned for Sept. 23, and you can get free admission to hundreds of museums and other cultural institutions nationwide. Just like in August, this month you can get into America’s national parks for free on one day. This time, it’s Sept. 30, National Public Lands Day. Admission will be free to all 400 national parks on that day. Most parks are free year-round, but 124 parks normally charge an entrance fee. So, to make the most of this deal, visit one of those parks on Sept. 30. Sonic has designated Thursdays as “Wing Night in America.” Just stop by after 5 p.m., and you’ll get a free order of wings when you buy one. Do you know of more great September freebies? Share them by commenting below or on our Facebook page.